Please note that the daily departure times are subject to change due to seasonal variations, as well as unforeseen circumstances. The final decision rests with your guide who will advise you at what time you will be departing each day. On day 1, there will be a meeting presented by your guide at your lodge. It is imperative to attend this meeting so as not to miss out on any critical information. While it is our every intention to adhere to the above mentioned itinerary, there may on occasion be a necessity to make alterations in order to make the tour more enjoyable or practical. Therefore please treat the itinerary as a guide only. We use suitable vehicles with comfortable seating, large windows for game viewing, a music and PA system and air -conditioning. All main travelling bags are carried on the vehicle or trailer roof racks to ensure maximum comfort in the vehicle. Some game drives may be conducted in open-sided safari vehicles. We will make use of transfer vehicles in-between lodges. All travelling times are affected by road conditions, border crossings, detours and weather conditions, therefore on certain days travelling times may be longer than anticipated especially where there is a lot of distance to be covered. Please keep in mind that the time it takes to travel 100 km in your home country is not equivalent to the time it takes to travel 100 km on African roads, therefore we encourage you to sit back and enjoy the spectacular scenery Africa has to offer. Where possible additional stops will be made to ensure you’re travelling comfort at all times. Accommodation is situated either in national parks, on the banks of a river, or in other places of interest. The accommodation will be a mix of lodges, chalets and tented camps with en-suite bathrooms. Please advise us of any special dietary requirements in advance. The onus is on the client to organize all visas required to visit the countries stated on the itinerary. Please note that travelers entering Botswana will be required to present a valid international health certificate of vaccination for yellow fever should they originate from or have traveled through countries which have been declared yellow fever infected areas within the preceding 6 months. Please note that travel and cancellation insurance is mandatory for every guest travelling with TIA Safaris. All insurance is solely the responsibility of our guests. Please ensure you arrange your own insurance with protection for the full duration of your journey to cover personal injury, damage and loss of personal items including but not limited to camera equipment and other electronic items, medical expenses, repatriation expenses and loss of luggage, etc. Please speak to your travel agent if you require assistance. Thamalakane River Lodge is ideally located an easy 20-minute drive from Maun Airport en route to the famous Moremi Game Reserve. 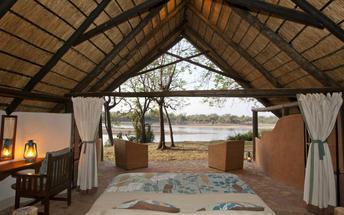 It is a secluded haven of tranquility nestled in a grove of mature riverine trees on the bank of the Thamalakane River. 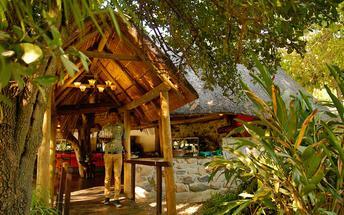 The rambling lodge has an idyllic setting and is committed to service excellence. Character en-suite stone chalets, some with private splash pools are positioned in the shade of the riverine forest, overlooking the river. All chalets and common areas have terraces that take advantage of the serene 180 degree view of the riverbanks lined with fluttering reeds visited by an ever changing array of water fowl and birds. It is a delightful place to come home to after a day spent exploring. Situated on the South Western edge of Chief’s Island in the heart of the Okavango Delta is Delta Camp – set in the forest of a large, beautiful and palm-studded island. The Okavango Delta with its crystal-clear channels, lagoons, sweeping floodplains and countless islands, is home to over 450 bird species, a spectacular array of plant species and the full spectrum of African game – the Okavango has earned its reputation as one of the world’s premier wilderness areas. The focus is on peace and tranquillity (stalking game on foot provides all the excitement one could wish for) and guests are actively encouraged to visit the local village, home to the guides, and to interact with the people there. 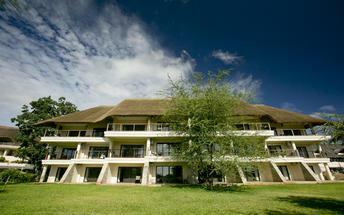 Accommodation is for a maximum of 16 guests in spacious lethaka (reed) chalets with en-suite bathrooms. Built of natural materials and elevated off the forest floor, each chalet has hot and cold running water, a shower with a view and solar-powered electric lighting. The Chobe River forms the northern boundary of the Chobe National Park, renowned for its reliable and diverse game viewing. Safaris are conducted both by boat and on land. This section of the park is best known for its elephant and hippo populations but the waters attract all manner of game including large herds of buffalo and the lions that prey on them. 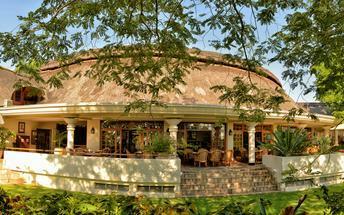 The warmest of welcomes awaits you at Ilala Lodge Hotel. A gracefully distinguished ambiance. Attentive yet discrete service that always comes with a smile. The sublime surroundings of our boutique hotel will reawaken your senses while the power of the majestic Victoria Falls renews your spirit. Relax in luxurious style. Listen to the meditative rhythm of the great Zambezi as you drift off to sleep.As morning comes, gently awake and lift your head to see the spray of the majestic Victoria Falls across the unspoiled horizon – and let your soul sigh. Feel at ease in our elegant and spacious rooms with African Teak furniture, soft, crisp linen – all en-suite facilities, bathroom with separate shower, air conditioning, overhead fan, satellite TV, hair dryer, tea & coffee making facilities, free WiFi and a safe. 56 rooms in total including 2 Executive Suites, 2 Standard Suites, 20 Deluxe rooms and 32 Standard rooms. The view from your room looks across the lawns to the National Parks where elephant, warthog, impala or the occasional buffalo might be passing by or simply grazing on the lawn or in the tree line. Experience new tastes, indulge in unusual flavours and enjoy delectable dishes at our award winning restaurant “The Palm”; dine in view of the spray of the majestic Victoria Falls! We have a tours desk in the hotel where you can book all you’re activities. 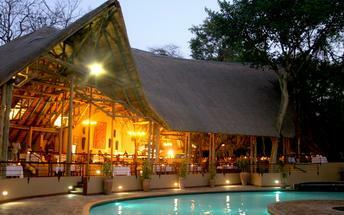 Ilala Lodge also has a spa, where you can spoil yourself after that long safari! Cruise down the river of time and follow the route that ancient explorers took, on the luxurious Ra-Ikane. She is the only one of her kind in Victoria Falls; The Ra-Ikane is a small luxury cruise boat that is out-fitted to suggest, in exquisite detail, an ambiance of a bygone era. 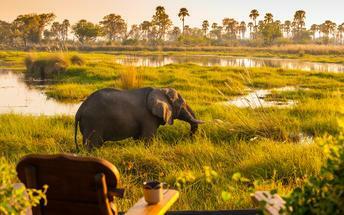 Sip chilled white wine, or Gin & Tonics whilst nibbling on canapes, as well as the sumptuous high tea, whilst you glide up to Elephants feeding on the shoreline. Located on the Zimbabwean border in southern Zambia the Lower Zambezi National Park is known for its exceptional, undeveloped wildlife areas. It is known for its abundant game and a variety of different wildlife can be spotted such as hippos, buffalo, crocodiles, fish eagles and herds of elephants. The landscape features rugged unspoilt wilderness made up of vast floodplains scattered with woodlands. Visitors can look forward to an array of wonderful activities along the Zambezi including game drives, walking safaris, canoe trips and excellent tiger fishing. Anabezi is a 24 bed camp located on the banks of the Zambezi River at the Lower end of the Lower Zambezi National Park (LZNP) in Zambia. The name Anabezi is derived from the camp being situated on the Zambezi River and the many Ana Trees or Winter Thorns (Faidherbia albida) that surround the camp. These winter thorns drop corn yellow pods which attract a wide variety of animals to the area including many elephants, a welcome sight in the camp. Anabezi Camp comprises of 2 common areas and 12 luxury spacious tents on raised timber platforms at the edge of a ridge providing magnificent views of both the Zambezi River and Mushika River flood plain. 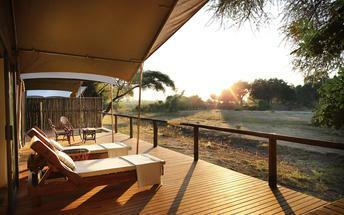 The plain hosts year-round grazing and offers spectacular diverse game viewing from the comfort of your tent! The 2 common areas, the Zambezi Deck and Mushika Deck, offer an opportunity to occupy the Mushika Deck exclusively with private staff. All luxury tents are equal in size and décor and each common area boasts a swimming pool, viewing deck, lounges, bar and dining area. 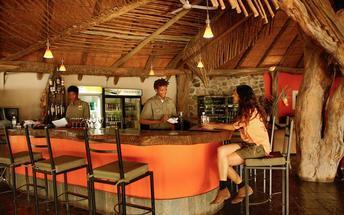 Included Activities include: Game drives, walking safaris, boat trips, fishing, canoeing and birding. Bordering the Luangwa River, the northern and southern Luangwa National Parks contain some of the most breathtaking and untouched wilderness in Africa. As a result of this and the parks’ successful anti-poaching campaigns, the area has developed into a world-renowned wildlife haven. The South Luangwa National Park is renowned for its walking safari, which allows visitors to view elephant, hippo and even lion close-up under the supervision of professional and knowledgeable armed guides. Many places claim to be “among the remaining wilderness areas” or “one of the last wildlife sanctuaries”; South Luangwa National Park lives up to both and more. 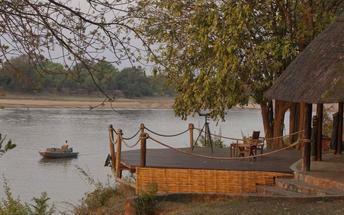 The Luangwa Valley is vast, remote and home to both people and a truly impressive variety of game. Today marks the end of your safari as you are transferred to the airport for your onward flight. Despite recent and surprisingly rapid modernization, Botswana’s cities provide little in the way of tourist attractions. However, what the cities lack in excitement, the surrounding wilderness areas more than make up for in outstanding natural beauty. The country’s primary tourist draw card is undoubtedly the vast red expanse of the Kalahari desert and its remarkably beautiful Okavango Delta – the largest inland delta in the world provide a haven for an abundance of African wildlife. Other highlights include the impressive Makgadikgadi salt pans where visitors are privy to massive zebra migrations during the flood season; the Savuti plains which host large prides of lions; and the Tsodilo Hills where 4500 rock paintings form a unique record of human settlement over many millennia. Botswana’s currency is Pula (which means ‘rain’ in Setswana). It is divided into 100 thebe (which means ‘shield’ in Setswana). Travellers’ cheques and foreign currency may be changed at banks, bureaux de change and authorised hotels. The US dollar, Euros, British Pound and the South African Rand are the most easily convertible currencies (and accepted by some estabishments – but, generally, then an inflated rate of exchange will be applied). Seven main commercial banks, as well as a number of foregin exchange bureaux, operate in Botswana. Operating hours are Monday to Friday 08h30 to 15h30 and Saturday 08h30 to 10h45. Full banking services are available in major towns, although ATMs are sprouting up all over the country. Most credit cards are accepted at hotels and restaurants. Cultural sites and community art and craft outlets usually only accept cash. Public transport in Botswana is geared towards the needs of the local populace and is confined to main roads between major population centres. Although cheap and reliable, it is of little use to the traveller as most of Botswana’s tourist attractions lie off the beaten track. Driving off the main roads in Botswana is only recommended to expects in 4x4 vehicles, that are equipped correctly. Most lodges offer transfers or they can be arranged. If, however, you will be driving in Botswana: your home driving licence will be accepted (with an official English translation if necessary; driving is on the left side of the road; and the national speed limit is on tarred roads is 120km/h and 60km/h in towns and villages. Be sure to watch out for wild animals on the roads! There are major airports in Maun, Kasane and Gaborone, while smaller charter flights are used to get to the other top attractions and camps. Tap water is considered safe to drink, although outside main cities and towns, visitors are advised to check first and sterilise water if in any doubt. Bottled water is available in most tourist centres. Filtered water is available at most camps and shops offer bottled water – it is advised to be well stocked of bottled water if you are travelling off the beaten track. Milk is pasteurised, and dairy products, local meat, poultry, seafood, fruit and vegetables are generally safe. Safari lodges and camps serve international-style cuisine, generally of an extremely high standard, along with local beer and imported wine and spirits. Good restaurants and bars can be found in main towns, often within hotels. Beef and goat are very popular meats. Elsewhere, food is more basic: millet and sorghum porridge are the local staples. A discretionary 5 to 10% tip is typical for restaurant bills. In many places, a service charge is automatically added. It is customary to tip the game guide and lodge staff while on safari. 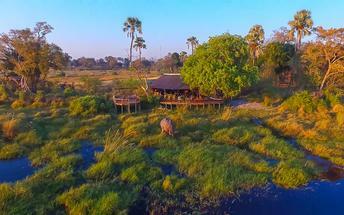 Botswana’s climatic pattern is typical of southern Africa, although its rainfall is less than countries further east. The rains in Botswana come mostly between December and March, when average minimum temperatures are in the low 20°s. Some days will be bright and sunny, some will have afternoon thunderstorms, and some will just be grey. 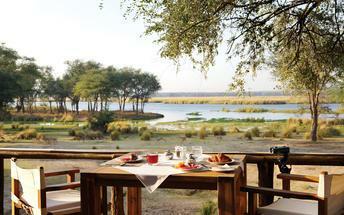 As with Namibia, April and May in Botswana are generally lovely, with the sky clear and the landscape green. Night temperatures start to drop during these months, especially in the Kalahari. Note that places in and around the Okavango tend to have less extreme, more moderate temperatures than the drier areas of the Kalahari. From June to August the night-time temperatures in drier areas can be close to freezing, but it warms up rapidly during the day, when the sky is usually clear and blue. It’s now very much ‘peak season’ for most safari areas: the land is dry in most areas so the animals congregate around the few available water sources. This continues into September and October, when temperatures climb again, drying the landscapes and concentrating the game even more. This is the best time for big game safaris – although October can feel very hot, with maximum temperatures sometimes approaching 40°C. November is difficult to predict, as it can sometimes be a continuation of October’s heat, whilst sometimes it’s cooled by the first rains; it’s always an interesting month. In summer, lightweight, light coloured cottons are preferable. Avoid synthetic materials and black clothing, as they increase perspiration and discomfort. In winter, wear trousers, long sleeved shirts / blouses and jerseys. From May – August, night temperatures can fall below zero degrees celsius, so warm jerseys and jackets are vital, especially on morning and evening game drives. Garments of neutral colours that blend with the bush and forest are advisable for safaris and game viewing. Bring a lightweight jacket and/or jersey for unexpected temperature changes or rain. Closed, comfortable walking shoes or gym shoes are a must in all seasons. Special attention should be given to protection from the sun. Bring a sunhat, good quality sunscreen, sun lotion and polarised sunglasses. Wide brimmed sun hats are essential. Electrical sockets (outlets) in Botswana are the “Type M ” South African SABS1661 (“Large” 15 amp BS-546) sockets. This is actually an old British standard. The “Type M ” South African plug and socket is not to be confused with the “Type D ” Indian plug and socket. In pictures, they look very similar, but the South African type is much larger than the Indian type, and they are physically incompatible. If your appliance’s plug doesn’t match the shape of these sockets, you will need a travel plug adapter in order to plug in. Travel plug adapters simply change the shape of your appliance’s plug to match whatever type of socket you need to plug into. Electrical sockets (outlets) in Botswana usually supply electricity at between 220 and 240 volts AC. If you’re plugging in an appliance that was built for 220-240 volt electrical input, or an appliance that is compatible with multiple voltages, then an adapter is all you need. But travel plug adapters do not change the voltage, so the electricity coming through the adapter will still be the same 220-240 volts the socket is supplying. If you need to use appliances that are not compatible with 220-240 volt electrical input, you will need a voltage converter. Water in the main towns is usually purified.. The locals drink it, and are used to the relatively innocuous bugs that it may harbour. If you are in the country for a long time, then it may be worth acclimatizing yourself to it. However, if you are in Zimbabwe for just a short period of time, then try to drink only bottled, boiled, or treated water available in towns and from all camps, lodges and hotels. A brimmed hat and sunglasses are a good idea year round. Long sleeved shirts and long trousers will also guard against the scorching sun rays. It is recommended you wear light shoes, especially if your itinerary entails a lot of walking. 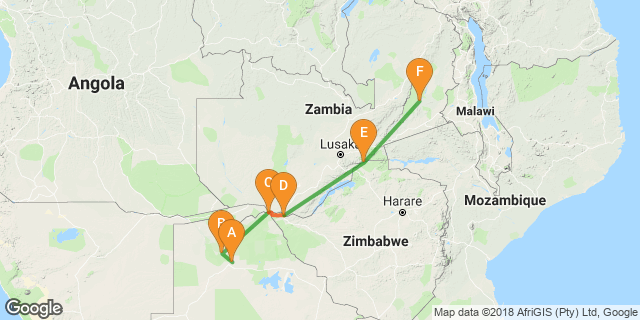 This unique, peanut-shaped country, once known as Northern Rhodesia, offers visitors an authentic African experience complete with adrenaline pumping adventure sports, a variety of fascinating cultural activities, and an abundance of indigenous wildlife, which finds refuge in Zambia’s vast national parks. Spend your evenings enjoying the spectacular site of the world’s largest waterfall, the Victoria Falls, while sipping on sundowners after an exhilarating day of whitewater rafting down the rapids of the mighty Zambezi River. If that sounds a little too adventurous for your taste, take a houseboat cruise along the exquisite Lake Kariba while watching wild elephants drink at the riverbank as you try your hand at catching the elusive tiger fish. However you choose to spend your time in this unique country, you are bound to leave with a heavy heart and a desire to return again soon to this exceptionally beautiful Southern African country. By April and May most of the rain has faded away, leaving a landscape that’s still green, but starting to dry out. Night time temperatures start to drop, especially in higher and more southerly locations. Zambia has mild winters and the summer days can be scorching hot. Lightweight casual clothes can be worn all year round, with a jacket or jersey for early winter mornings and evenings. Book this trip or ask a question! 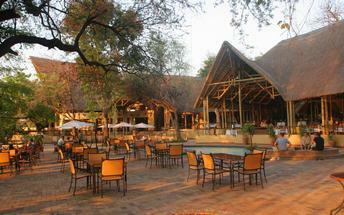 Hi, I'm interested in the Botswana, Victoria Falls & Zambia trip.